I learned Korean zen meditation in the winter of 1989. 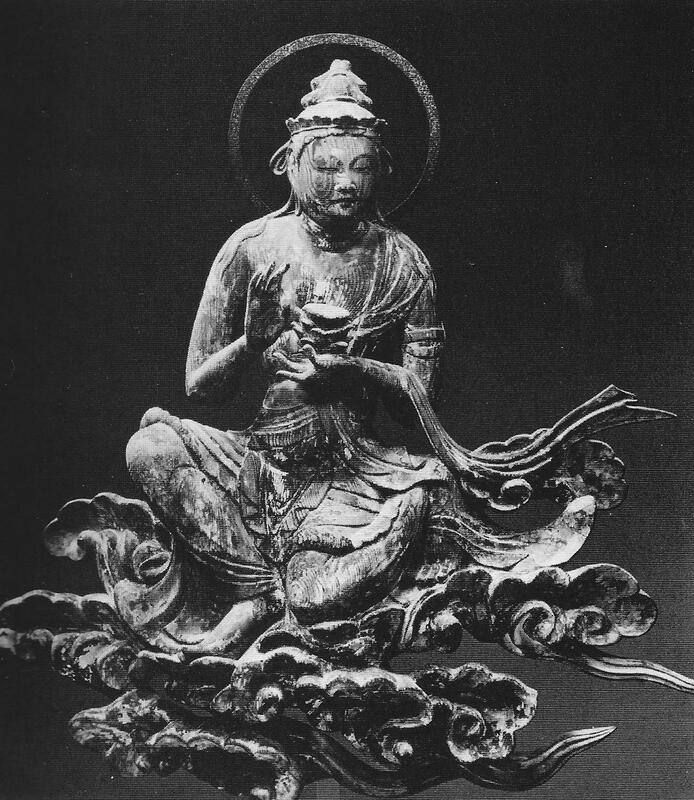 I was fascinated by zen, the zen mystique for sure, but also the fresh and powerful language used by the teachers of the zen tradition. There were many awesome things to contemplate, from the sound of one hand clapping to my “original face” before my parents were born. All that heady stuff was rumbling around in me, along with a sneaky suspicion that I might be already enlightened. My guess is that teachers of zen have to put up with a lot from their new students! Anyway, here I was, in February and March of 1989, learning Korean Zen Buddhist meditation. It was not as trippy as a night with Jack Kerouac but it was pretty cool. So I’m going to share a little bit with you today about how to meditate in the four classic postures of the tradition. In proper zen breathing, the inhalation begins with the rising, not of the ribcage or upper torso, but of the lower abdomen. As it fills, as if the lungs were in the lower belly behind it, a small wave of rising moves up the belly towards the rib cage. As the exhale comes, the belly gently falls, top to lower belly. This is basic zen breathing, as I teach it in the short guided process recorded on the resources page of my website. It is simple but it takes years to unpack all the benefits that come with this simple breathing technique. For me, it wasn’t until my first 5-day meditation retreat that I could clearly feel my tan tien and knew I was breathing well. But this practice has many levels and even many years after establishing the habit of tan tien breathing, which I practice every day, I still find myself learning from my breath and deepening the practice of breathing. So, back to the four postures! 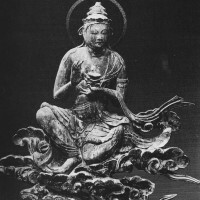 The four classic postures are lying down, sitting, standing and walking. If you have not tried all four, I strongly recommend that you do. Each has its unique challenges, and each has particular gifts to give, or ways in which it can help you strengthen your practice. And strengthening your practice is strengthening you, your presence in your life, and your participation as a co-creator of your life. Lying down was my starting posture, so I’ll start there. In this posture, you are sometimes so close to falling asleep that you might well, fall asleep. Remaining alert might be the challenge of this posture. If you are really sleepy, you may fall asleep. Now, in my opinion, if you fall asleep during the day, you probably needed it, but I’m writing about meditation now so let’s say you can stay awake! The great thing about this posture is that, with no muscles holding you upright, it is very easy to deeply relax. You might even enter a deep hypnogogic state in which you hover in a state between sleep and awakeness. This can be a profound state of rest, profoundly de-stressing, and deeply restorative. Still, in a more usual meditation, you are both very relaxed and very alert, simultaneously. You are aware and alert, without anxiety. Lying down is also the best meditation position for stress reduction. If you take one of my stress reduction or mindfulness classes, you’ll do it a lot. It is the best, fastest way to let go of stress and to ground your self. In fact, for people who are chronically under a lot of stress and anxiety, I recommend that they only practice lying down for the first several weeks. If you’ve never tried it, I think this will soon be your new favorite posture. From lying down, the next move is the seated posture. Here, we are mostly supported by a comfortable seated posture, whether in a chair or sitting comfortably on the floor. And while it’s possible to fall asleep while sitting, it is less likely to happen. The sitting posture is more alert than lying down. You will feel some of the ease and deep relaxation of the lying down posture, but you will feel more alert, more “awake” in your awareness. When you are in the seated posture and your meditation drops into “deep gear,” you will often feel a simultaneous wakeful alertness and relaxed, open awareness that feel different from that of any other posture. It is the most practiced posture around the world. As with all the postures, we practice sitting while breathing into the tan tien. If you have already sensed your tan tien and located it while lying down, it will be pretty easy to find it in this posture, too. What do zen monks do when tired of sitting in meditation all day? Well, I think that mostly they just sit more! But this doesn’t have to be our only option. Let’s look at standing and walking as other postures for meditation. The standing posture is another that I have grown into appreciating over time. It was not a favorite of my zen teacher, so we didn’t practice it much. What we had in its place were hours of chanting practice, done while standing in place. To me, that was how we practiced standing, while chanting. The main thing I heard about standing meditation in the Korean zen tradition was of the famous Zen Master, Kusan Sunim of the late 20th century. It is said that he would push himself to practice longer by practicing standing meditation with a knife placed at his throat, for motivation and to keep himself from falling asleep. That never appealed to me, but I’m glad to say there are many better reasons to practice standing meditation for 5-30 minutes. Standing meditation is a powerful position. We are standing upright. We are poised for movement. Standing on our feet, we can see all around us easily. We could easily move into powerful action, but so long as we are in standing meditation we do not move. Breathing into the tan tien, perhaps with palms pressed together, we are invited to stand with eyes slightly open, while breathing in and out. There is a wonderful strength that comes with this practice. Words that suggest the experience include: bearing witness, standing for what we believe, standing on our own two feel, and standing our ground. I usually practice with eyes mostly closed, but sometimes I practice with eyes softly focused on a devotional object. It can be a way to feel deeply rooted, deeply present in the here-and-now, while standing. And I believe that standing rock-solid in one spot may be a lost art for most of us. We are busy, we are wandering, we wobble when we are stopped in line, not moving. Or we grab for our technology whenever we stop. But in this posture, we can reclaim the experience of standing, strong, proud, humble, fully, on the ground. Walking is the final posture and it is also one that receives a lot of attention. Many have learned walking meditation through walking the labyrinth outdoors or in a cathedral. Or maybe a DVD of mindful walking by Vietnamese meditation master Thich Nhat Hanh taught you the beauty and power of walking meditation? In any case, it is worth learning and practicing for many reasons. It is only in walking meditation that we take our meditation “for a walk.” It is only in this practice that the total absorption of meditative states can be married to movement. For this reason, walking meditation is an excellent way to help your body-mind integrate your meditative experiences with your active life in the world. Walking practice is a great bridge between stillness and movement. On a good day, you can find stillness-in-movement during your walking. I think walking is particularly valuable when you have a lot of energy in your system. It can be a huge help, perhaps especially with energies like anger or restlessness that make it hard to sit still. When these come visit, it is often helpful to walk for a period of time, then consider transitioning to another posture for a longer meditation. Other times, 30-45 minutes of walking can allow you to go deep into meditation while gently stepping. I remember a retreat I led last fall when I decided to take a risk and lead a very long outdoor walking meditation on a slightly cold day. Once I started, the whole group was following me, so I could not turn around to sense how they were doing. I wasn’t 100% sure, but I felt that they were ready for a deep dive into walking practice. And later, to my relief and delight, they shared that it had been the most surprising part of the one-day retreat! Yes, walking can be like that. The late Fr. Tom Hand, a Jesuit priest who taught Christian Zen for many years in Burlingame, CA, spoke of walking meditation as potentially “addictive” (his word). I have found it can be so. I encourage you to let this practice find where it can give its gifts to you. I hope this little introduction will encourage you to try some new postures this week. If you’re looking for more information, I welcome your questions. I’ve tried to give a short overview rather than a detailed instruction manual. If there’s interest, I’ll consider writing on each posture individually or writing in response to your questions. I look forward to hearing from you and wish you a rich experience with each of these four classic postures.